Why choose Sky Collision Repair Loganville for your auto body repair? If you’ve been in an accident and need a professional auto collision repair shop, Sky Collision Loganville Ga. is the best choice. We are I-CAR certified. We offer a free estimate, lifetime guarantee and direct billing to insurance. We’ll even provide assistance with your car rental! Loganville has a small population but quite a few car collisions take place in the region every year. The absence of heavy traffic on the roads means you don’t face the temptation to drive fast. As you know, rash driving can lead to collisions, which can often disfigure a car, making it seem irreparable. This is where Sky Collision repair Loganville, is the perfect place to bring your vehicle. Driving errors resulting in scuff marks or small dents. Severe collisions can cause massive damage to your vehicle. A head-on collision can completely crush the front whereas a vehicle colliding into your vehicle from the side can deform its frame. With the perfect mix of an experienced team and the right tools, we can restore your vehicle to its pre-collision condition. We are one of the leading auto body shops for paintless dent removal in Loganville Ga. This particular service is great for preserving the value of your car, as we remove all the dents and bring your car back into its original shape without removing the original paint. 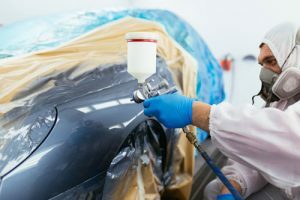 5 Reasons to Choose Sky Collision Repair Loganville Ga.
From small dent removal jobs that we complete within an hour to detailed frame correction that can take days, we deliver a wide range of car repair services in Loganville. We never compromise on the quality of our service. You can trust our experience in collision repair in Loganville because we have been doing this every day for over 30 years. We always deliver what we promise, and that’s why our customers trust us. We pride ourselves on our paintless repair services. These jobs require attention to detail and we never disappoint our customers. If your car’s original finish holds special value for you, we will do our best to retain that finish. Your convenience is our top priority. We try to make car repair a hassle-free experience for you. We will come and pick up your vehicle if it is within a 25-mile radius of our location. We hold I-CAR certification. Moreover, we will provide you with an initial repair quote, free of charge. Our repairs come with a lifetime guaranty for your peace of mind. At Sky Collision repair Loganville, we go the extra mile to remain your favorite Auto Body Repair Center in Walton County. Call us right now at (678) 475-7499 to schedule an appointment or use this online form for a free estimate. 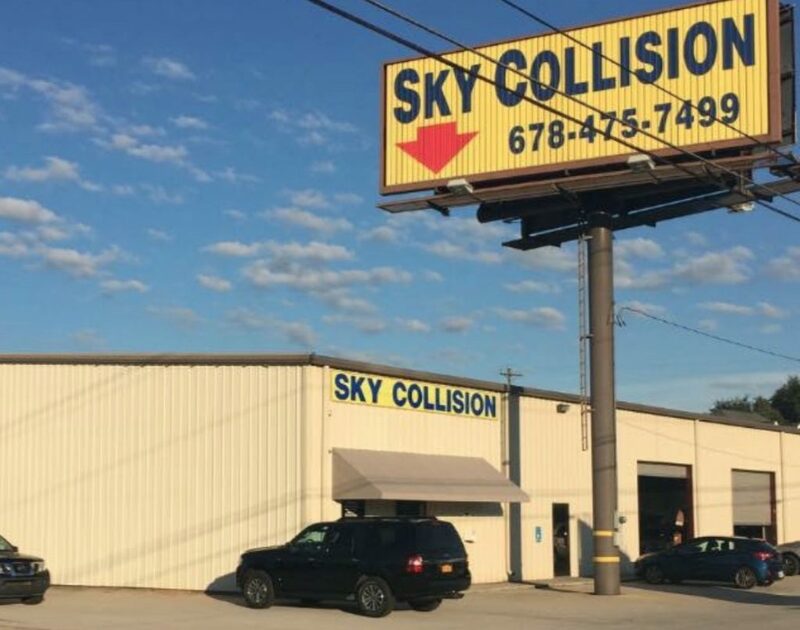 If you’ve been in an accident and need a professional auto collision repair shop, Sky Collision in Loganville is the best choice. We are I-CAR certified. We offer a free estimate, lifetime guarantee and direct billing to insurance. We’ll even provide assistance with your car rental!